Anna McMichael takes her violin into previously unexplored territory, and in this special festival performance she has worked with composers Damian Barbeler, Kate Moore and Daniel Blinkhorn to create some unique and fascinating soundworlds. 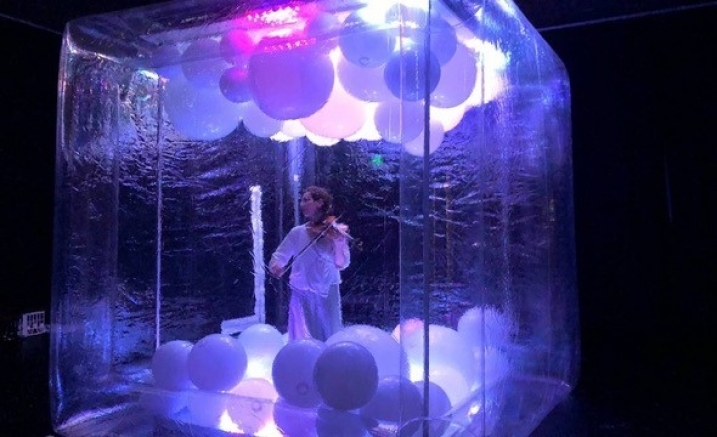 This is your only chance to hear the violin matched with Arctic Ice field recordings, moving electronic soundscapes, and a ball of wool used as a violin bow! Damian Barbeler also joins Anna on stage to perform his work Piece for Violin and Ball of Wool.